Bill is co-chair of the Firm's Bankruptcy & Creditor Rights Group. In recent years Bill has focused his practice on representing secured creditors, landlords, franchisors, suppliers, avoidance action defendants and asset purchasers in Chapter 11 cases and other insolvency proceedings. 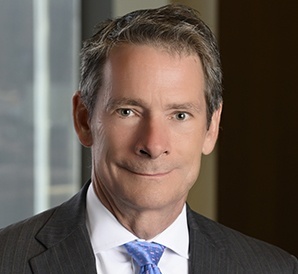 Bill has litigated a broad variety of cases in the bankruptcy courts, including stay relief, adequate protection, cash collateral and DIP financing motions brought by or involving secured creditors and confirmation issues raised by secured and unsecured creditors. In recent years, Bill’s secured creditor practice has included a number of cases involving real estate properties such as multi-family housing, shopping centers, leased industrial facilities and farm land. He also consults with borrowers and creditors in strategies for resolving debtor/creditor problems. Bill has defended numerous preference, fraudulent transfer and breach of duty cases filed in the bankruptcy court. Represented banks and non-bank lenders in connection with the default and enforcement of secured working capital and term loans, including obtaining stay relief in the bankruptcy court and negotiating the treatment of secured debt under plans of reorganization. Presently represent both agents and participants in workouts of +$100 million credit facilities, including facilities secured by aircraft, equity interests in banks, office buildings, and partially developed residential projects. Filed and litigated on behalf of unsecured creditors involuntary bankruptcy petitions. In several cases, after the entry of an order for relief, I served as special counsel to the Chapter 7 trustee to investigate and prosecute claims to recover property of the debtor.